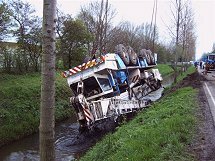 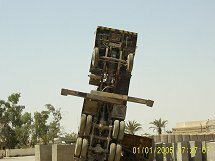 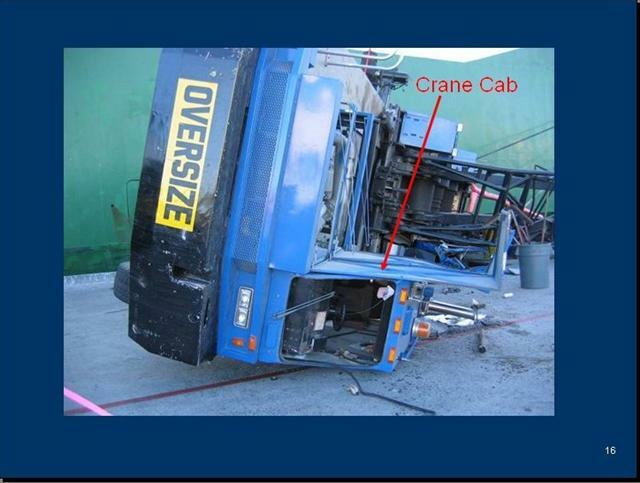 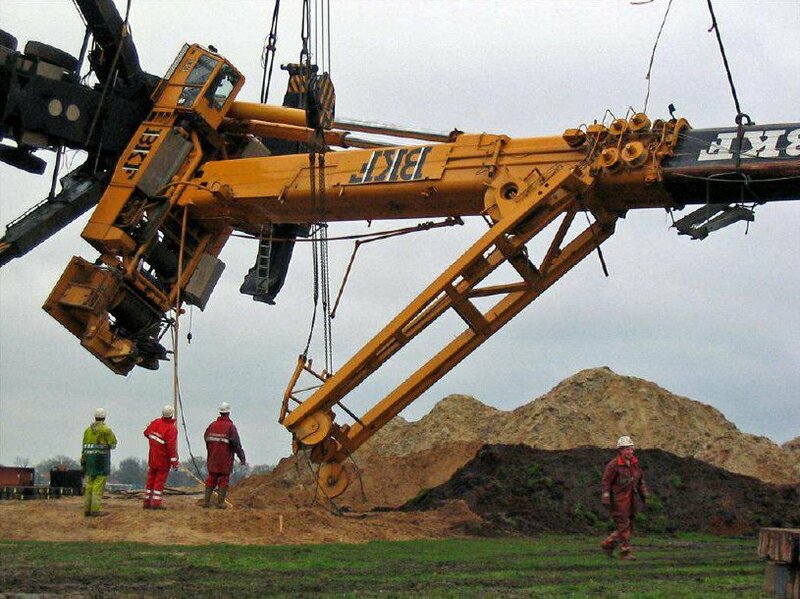 Another licensed crane operator that looks as if he didn't put all of his outriggers out. 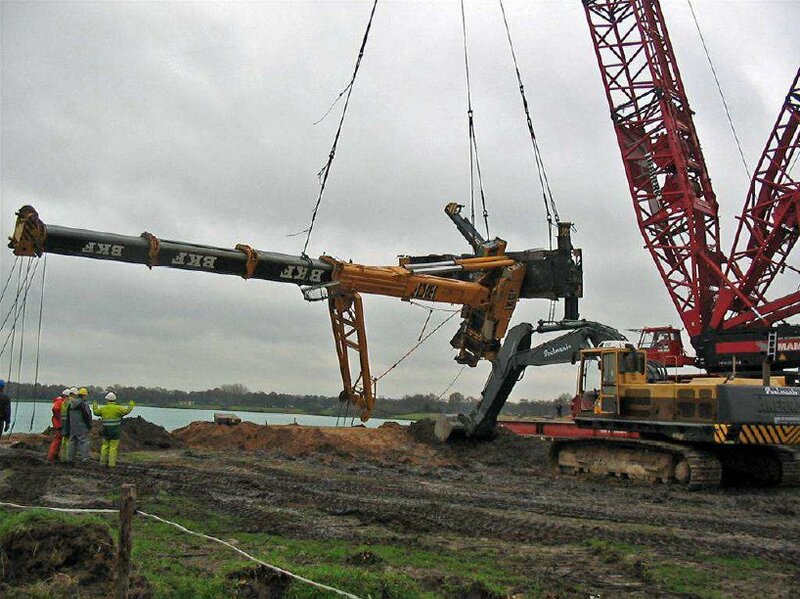 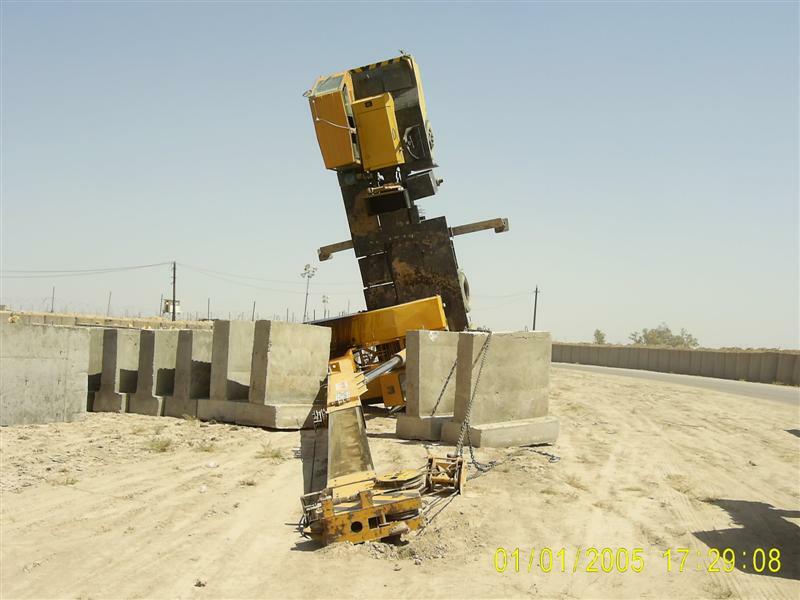 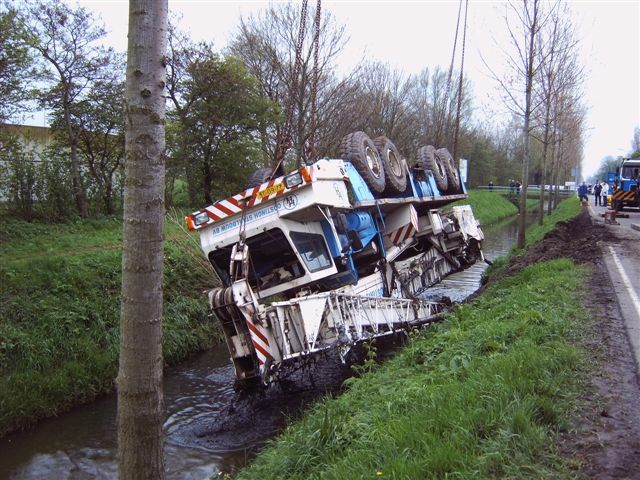 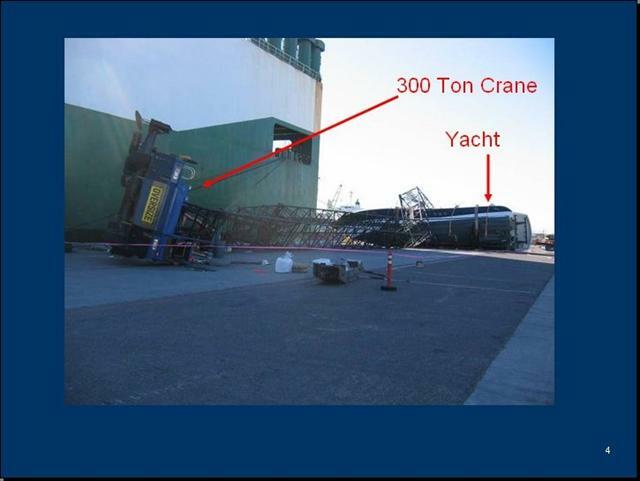 This will happen every time when the load is to heavy for the crane. 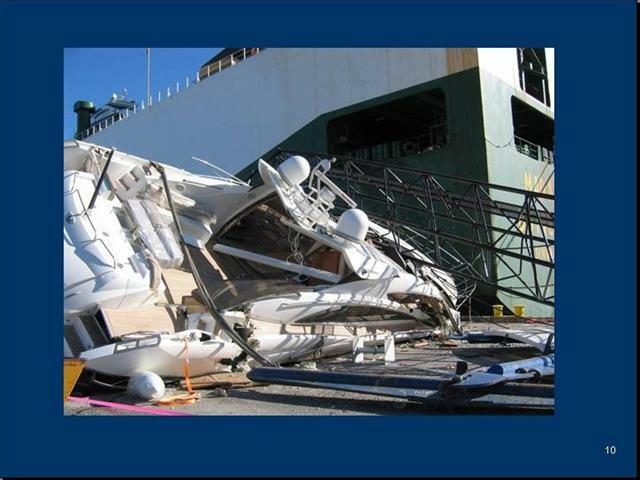 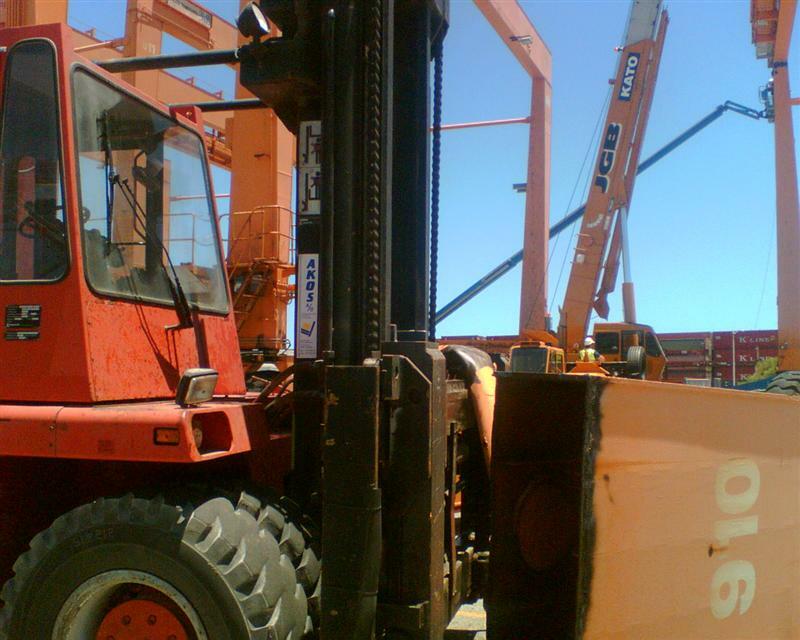 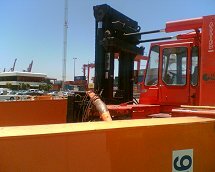 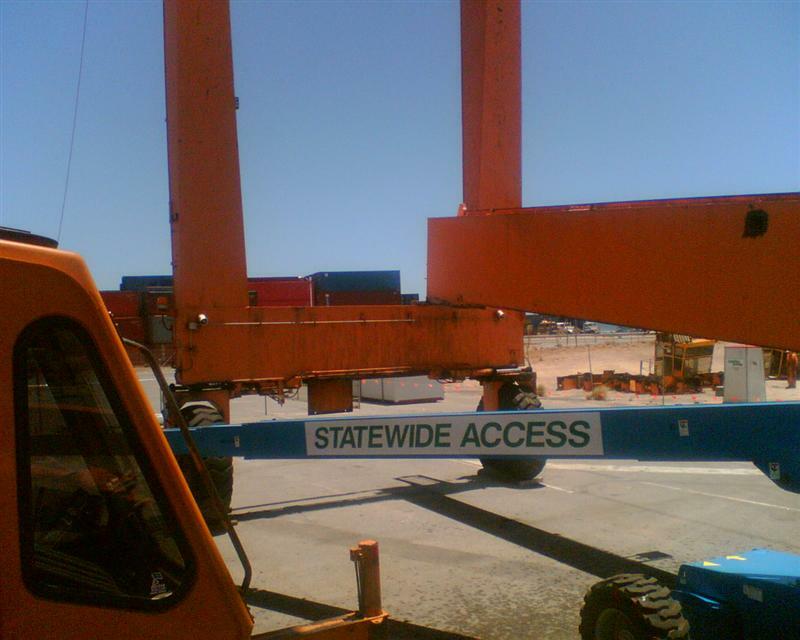 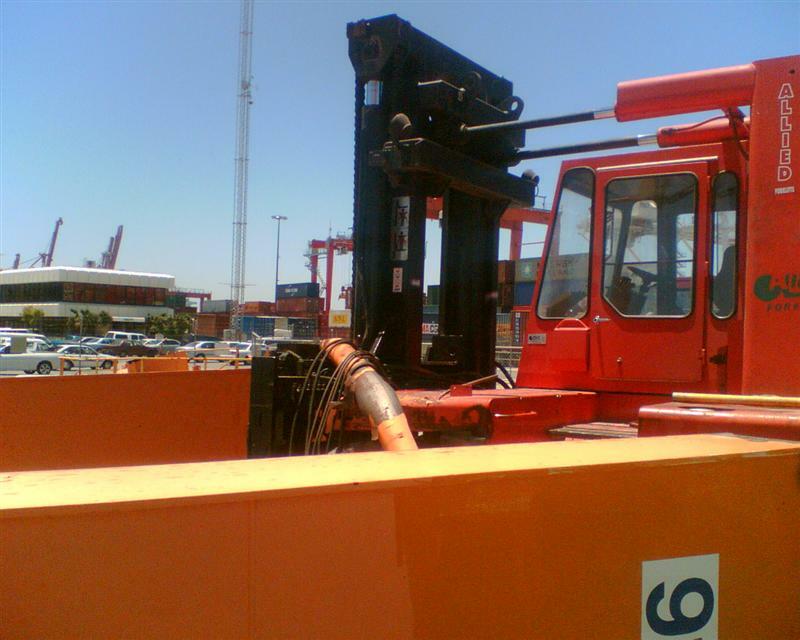 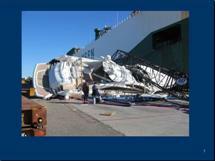 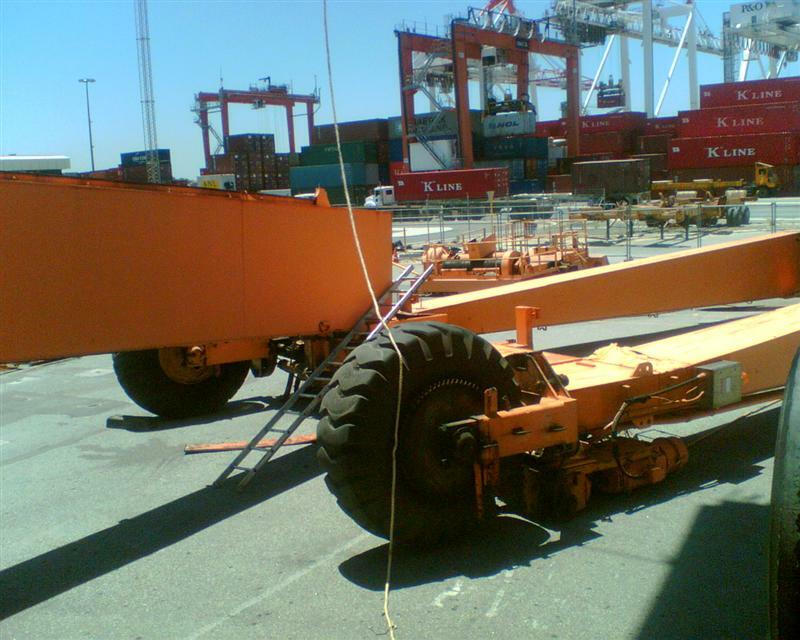 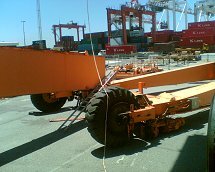 Working crane hire at the time driving a 50ton Kato, our client carries out demolition work of redundant RTG cranes (the rubber tyred warf cranes that place the boxes after being unloaded) at P&O ports Fremantle Western Australia. 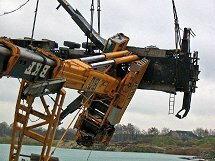 As per their lift study and procedure signed of and certified by an engineer, the process involved firstly removing the operators cab, spreader beams and winch houses, (a total of 5 RTG's where to be disassembled) next step each of the 6ton wheel assemblies (4 per RTG) are to be removed and resting the crane to the ground. 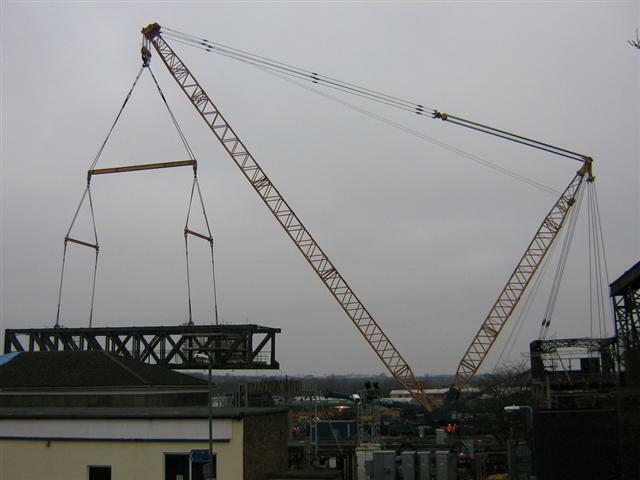 Step 3, rig and support 1st top gantry beam, estimated weight 11 ton, once cut free it was to be placed across the bottom bracing sections (photo 2) and fully welded into place, this in theory replicates the stability it ensured in it's original position. 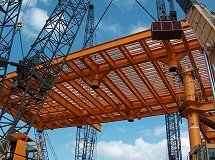 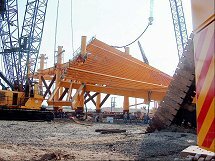 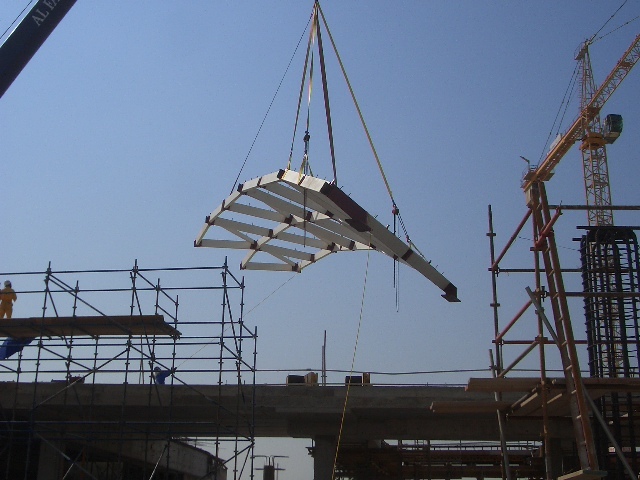 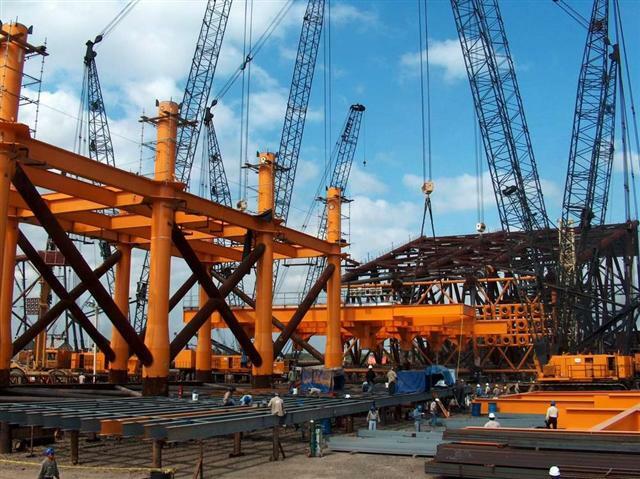 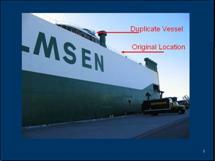 Once in place and stable, the process was repeated for the second top gantry beam. 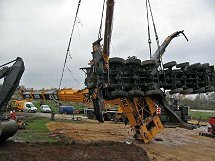 Then, which at the time made perfect sense, one by one rig, support and cut free the "legs" of the gantry crane, laying them to the ground and proceed with chopping up the components and trucking them away, easy .. until the supervisor / director of our client saw a sure fire way to save a days cranage on each of the 5 RTG's. 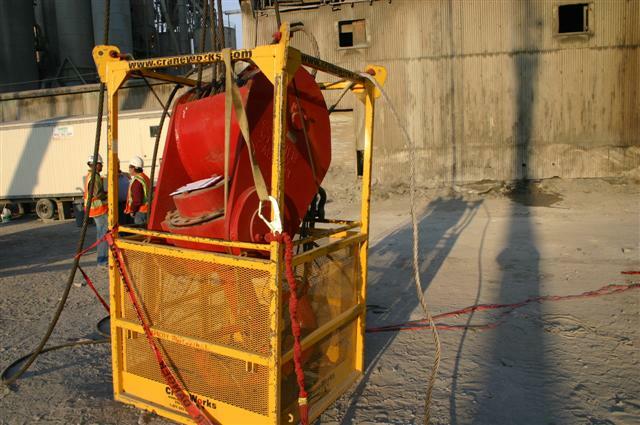 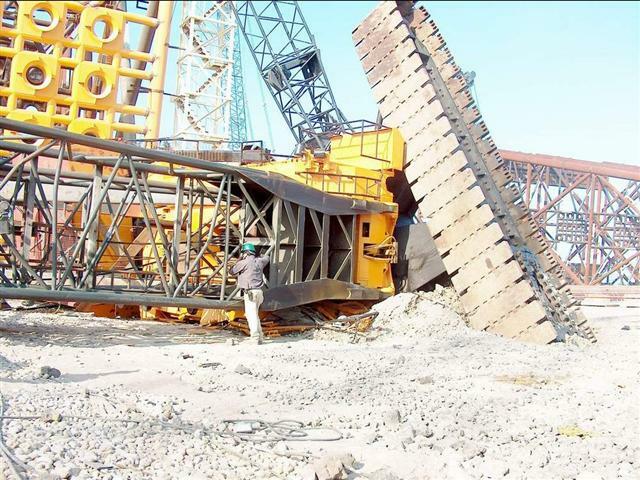 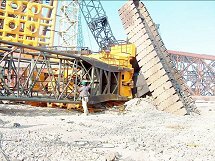 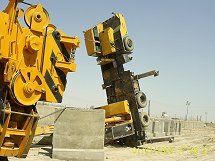 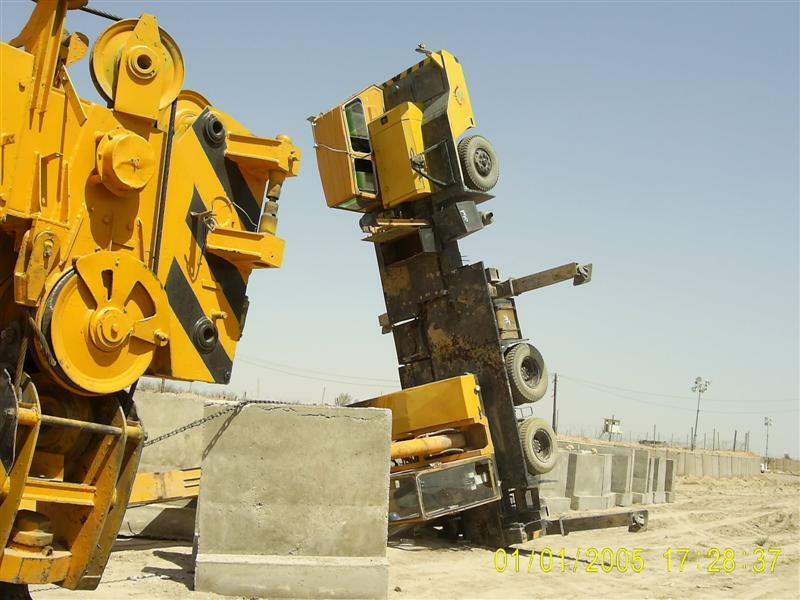 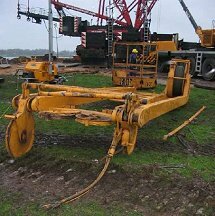 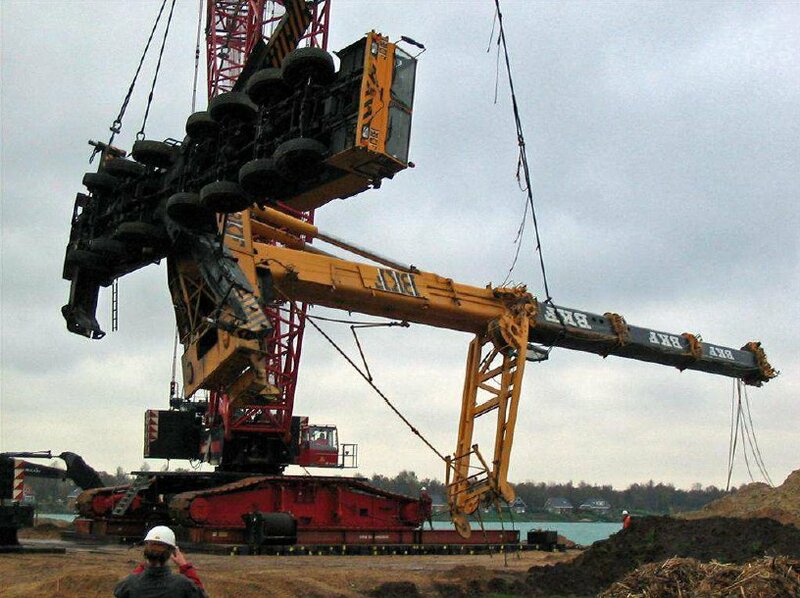 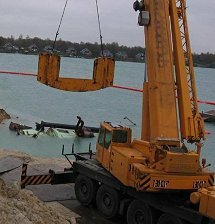 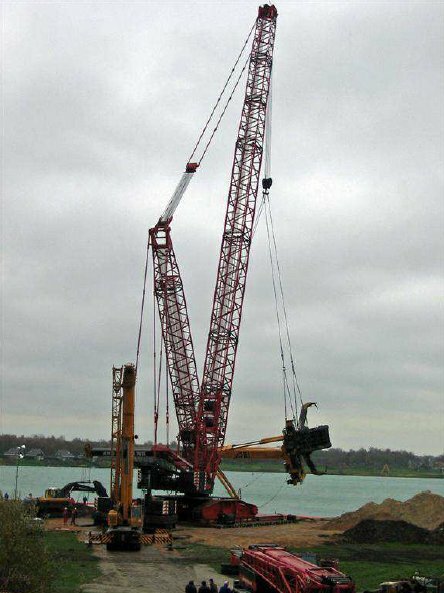 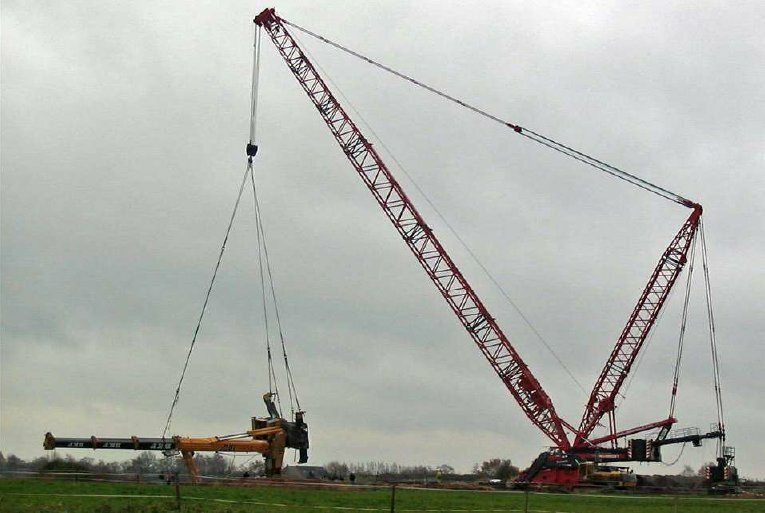 (Initially a single 50 ton crane could manage the job, and take around 2 to 3 days per RTG) instead of removing the wheel assemblies first, it was decided AND approved by the engineer, that this step could be missed, and the demo would continue as normal. 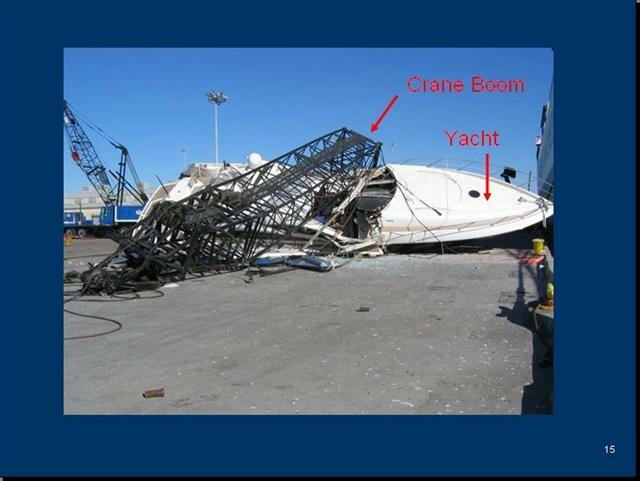 This however this was not the case .. 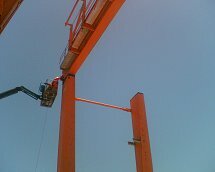 The first top gantry was cut free and lowered into position flawlessly, estimated weights were spot on and all was well. 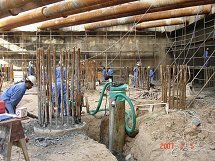 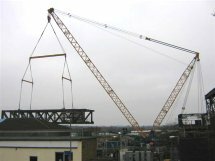 However, in another time saving exercise, the beam was not fully welded to the bottom bracing, instead 100mm stitch welds were used. 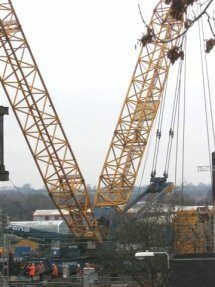 By the way .. something I forgot to mention, the whole RTG was "precut" and "final cuts" to be made once supported by the 50 tonner .. in order to once again save on crane hire. 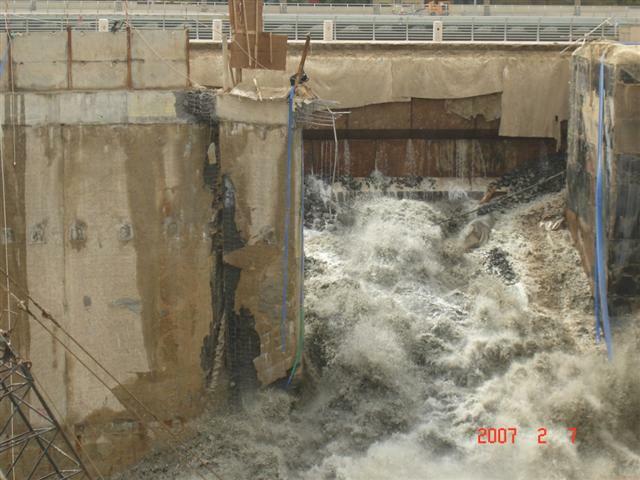 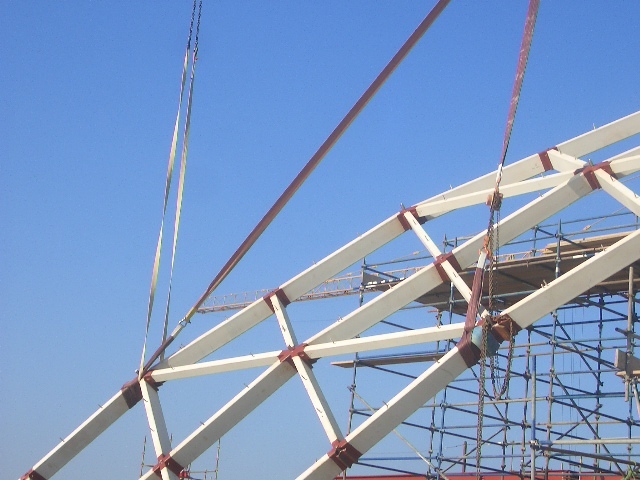 The structure stood solid as a rock in this state for some 75 mins while a boom lift could be repositioned and rigging of the second top gantry took place. 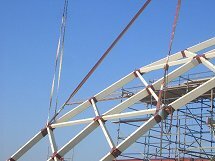 Final cuts were made between gantry and leg section, again no movement very solid for another 20 mins, whilst making the final cut at the other end of the gantry, gravity (gotta love that word) took over. 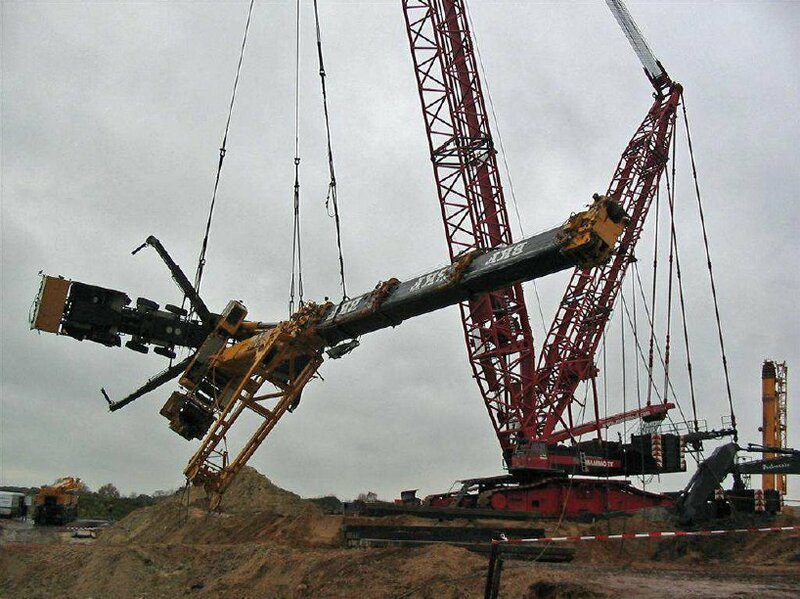 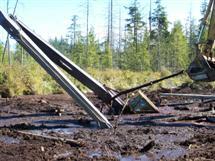 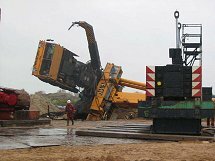 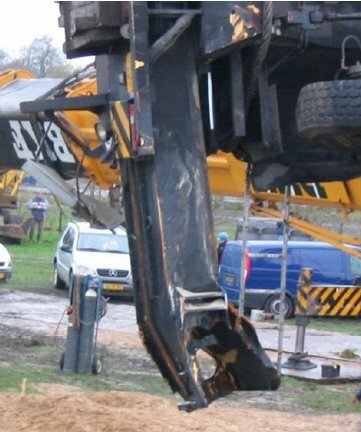 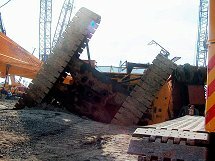 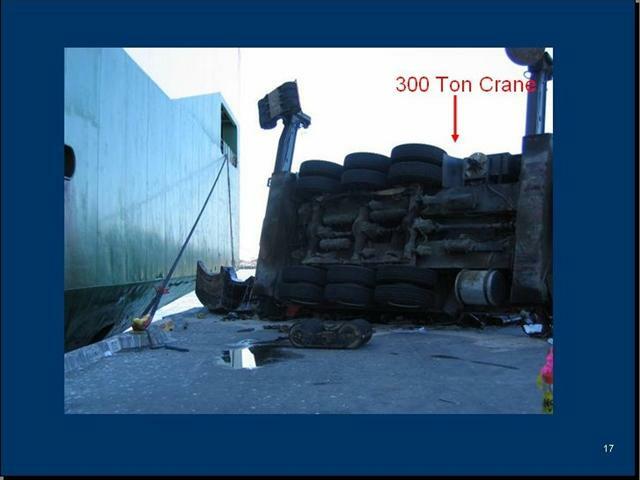 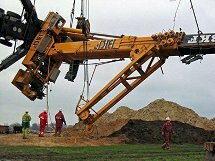 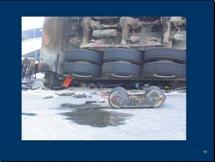 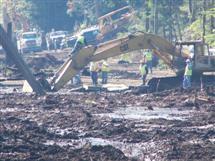 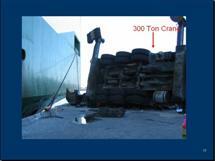 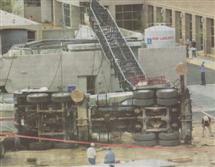 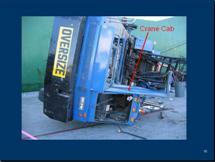 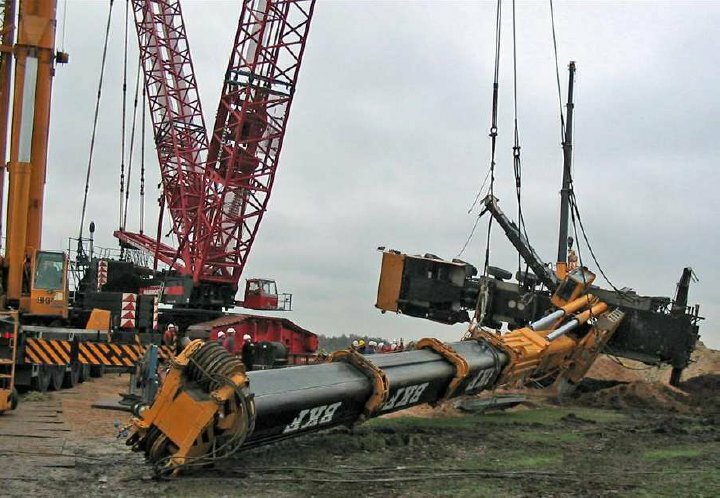 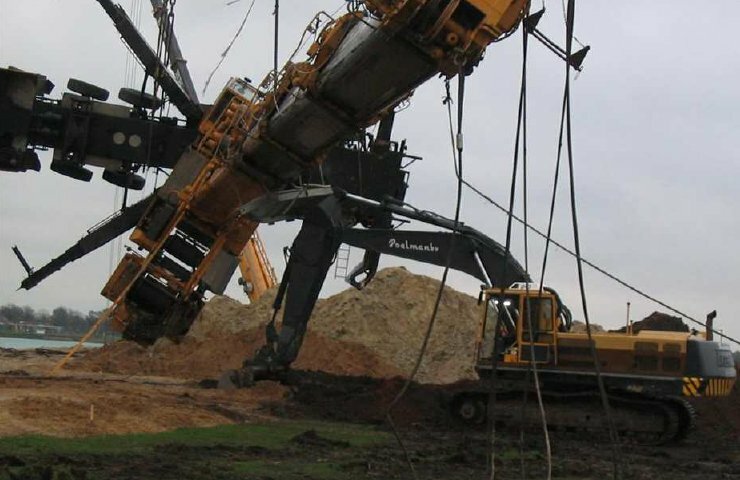 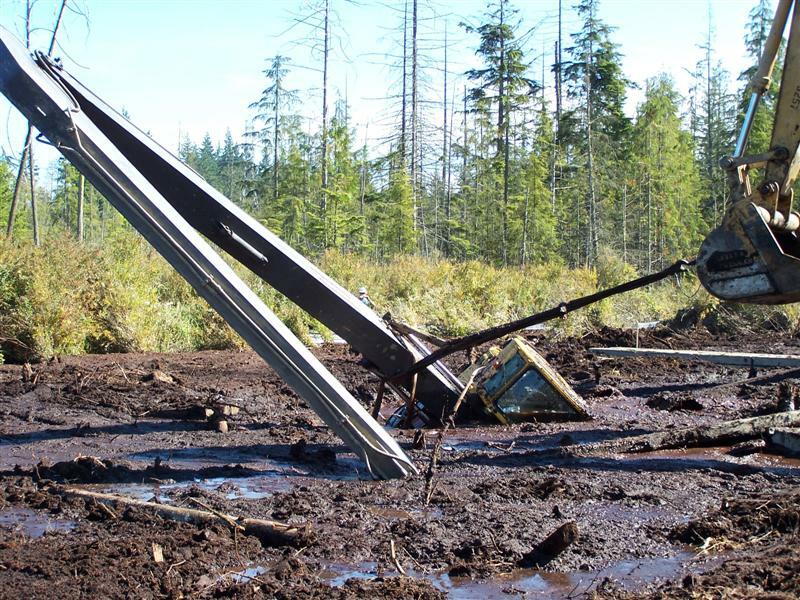 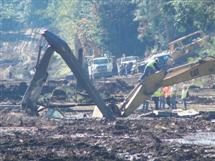 The pair of legs, weighing at 20 ton, 8 ton more than the estimated combined weight, came crashing to the ground. 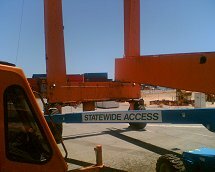 This alone is an operators worst nightmare, unfortunately out of sheer bad timing a 10 ton forklift was traveling past, unauthorized to be within 50 meters of our operation, and ended up with the cross bracing between the 2 legs, across the forklift mast, a single meter from the operators cab. 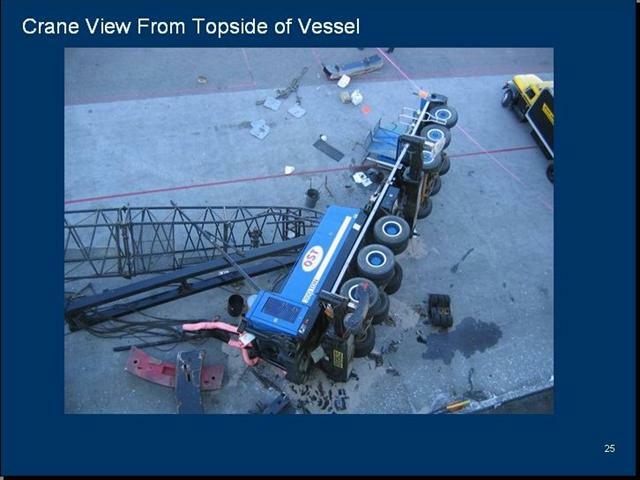 (see photos 4 and 5). 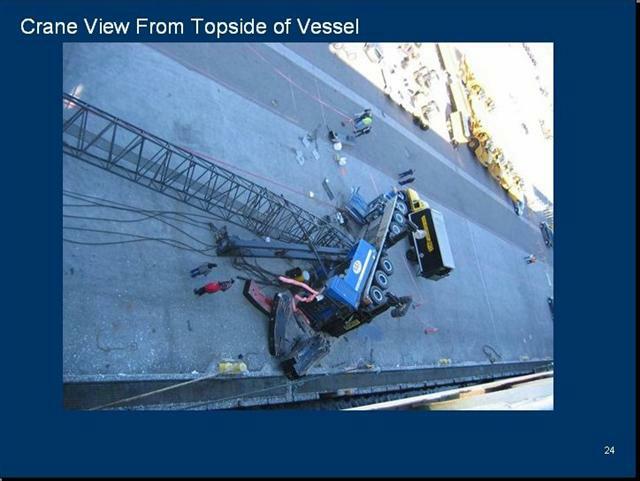 Meanwhile, I'm still supporting the top gantry beam right where it was before the incident, if not slightly more pale in color. 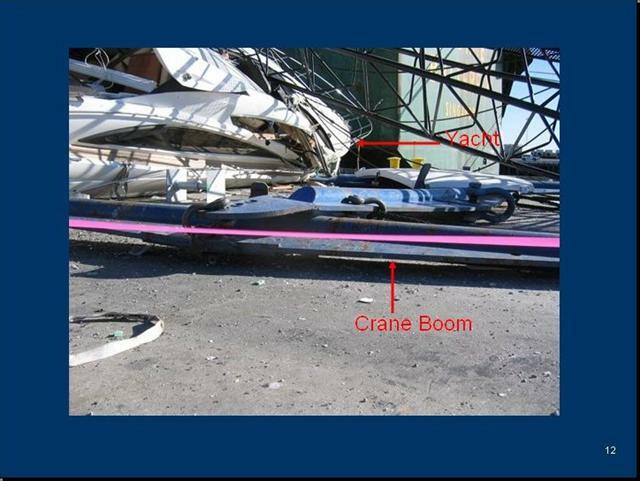 The pair of legs left standing were still apart of the top gantry by mere mm's of steel. 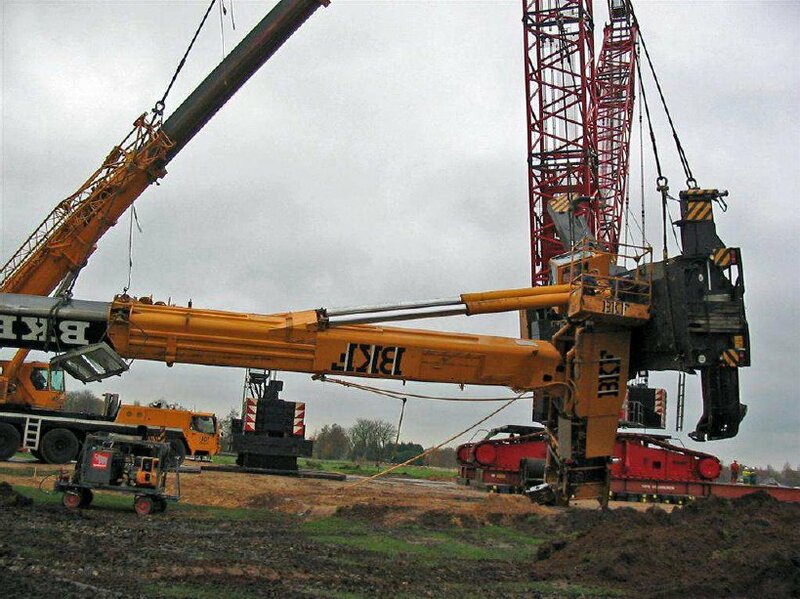 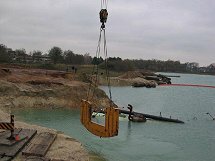 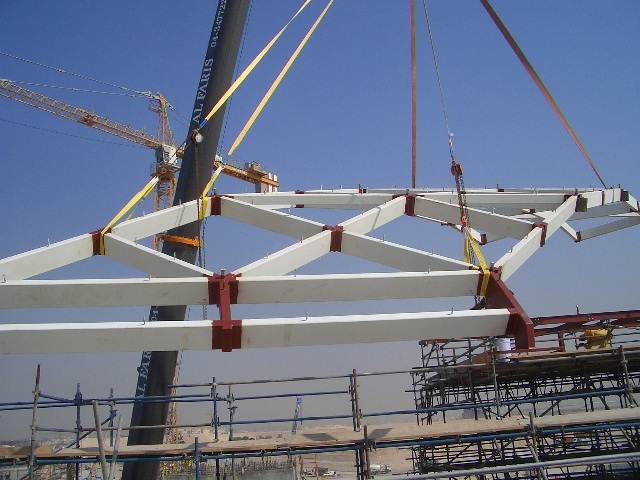 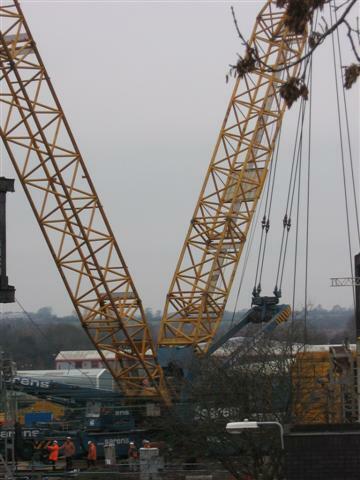 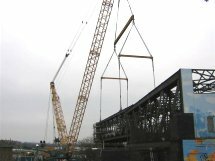 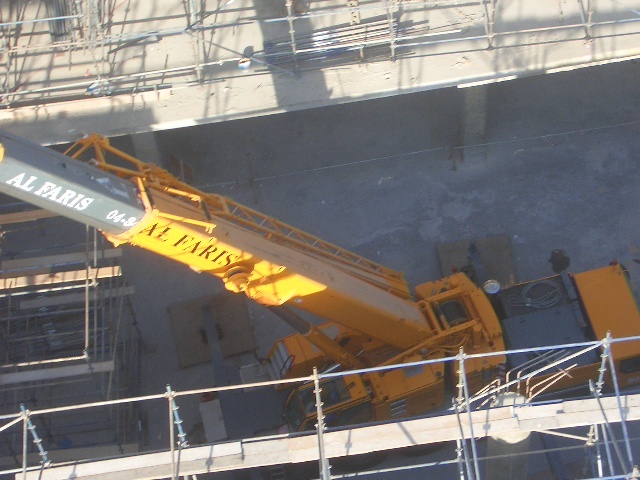 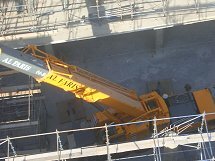 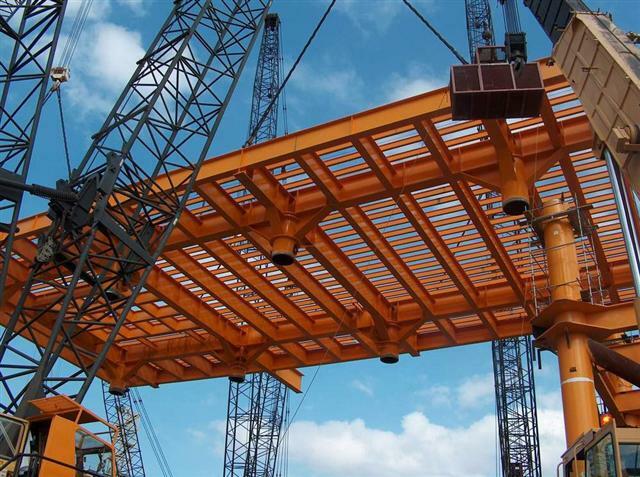 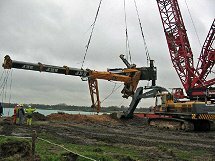 After the top gantry was re-welded to the remaining legs, the site made safe and investigated, an 80 ton crane was then ordered in to support the legs whilst the top gantry was removed safely to the ground, and then laid the legs to the ground. 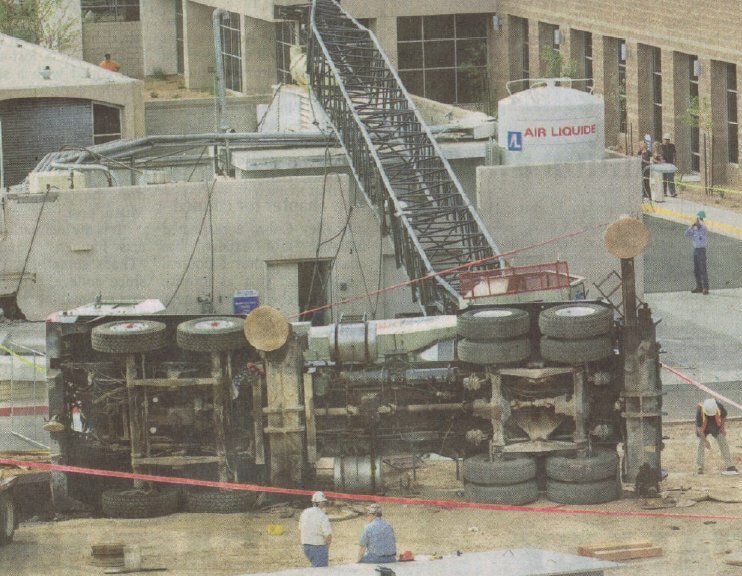 There were 8 people within the fall zone of the operation at the time, including myself and the very very fortunate forklift driver. 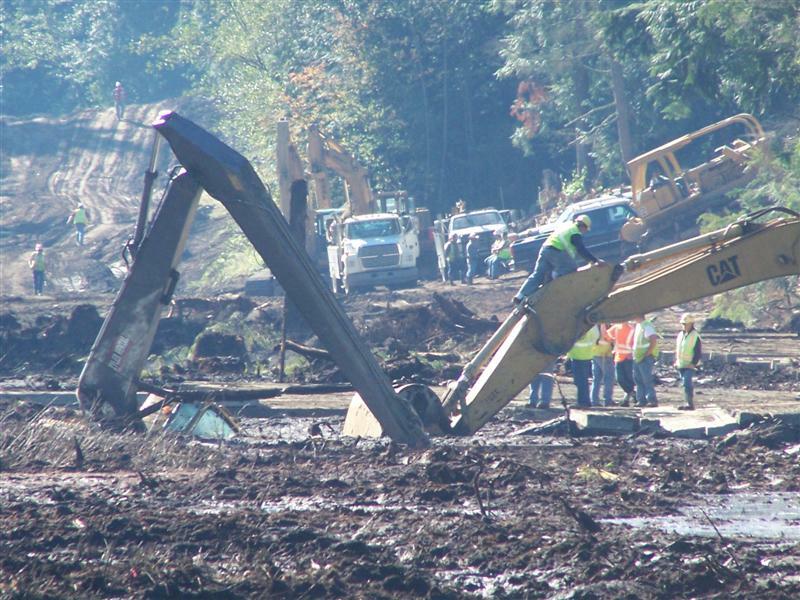 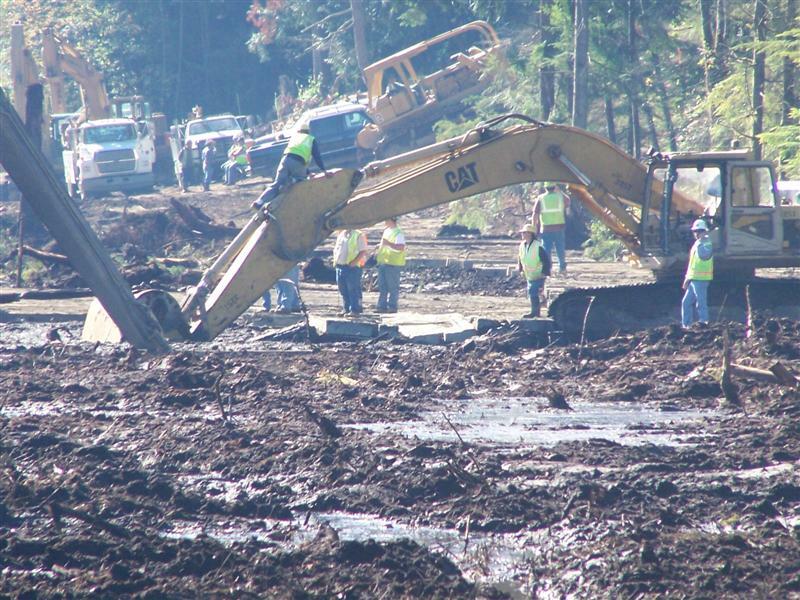 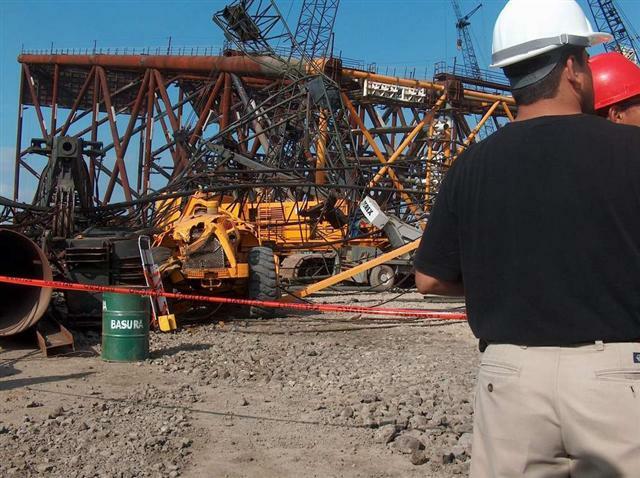 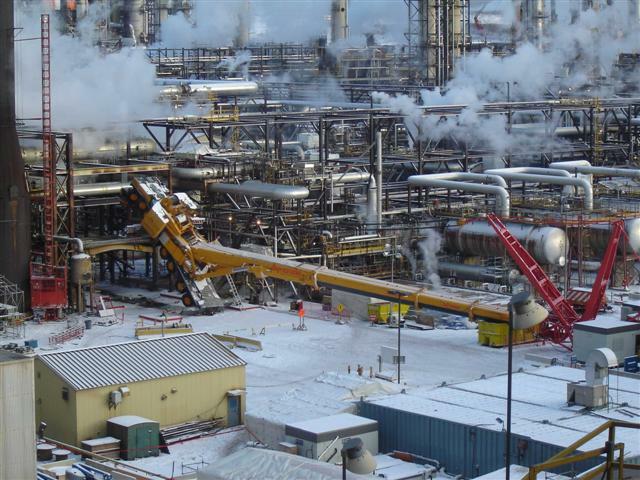 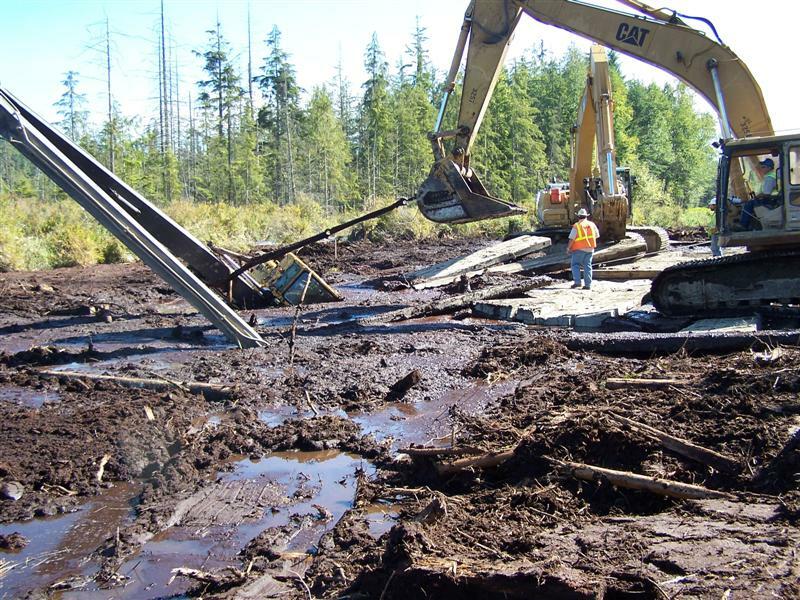 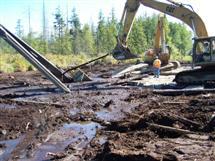 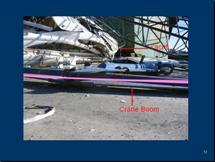 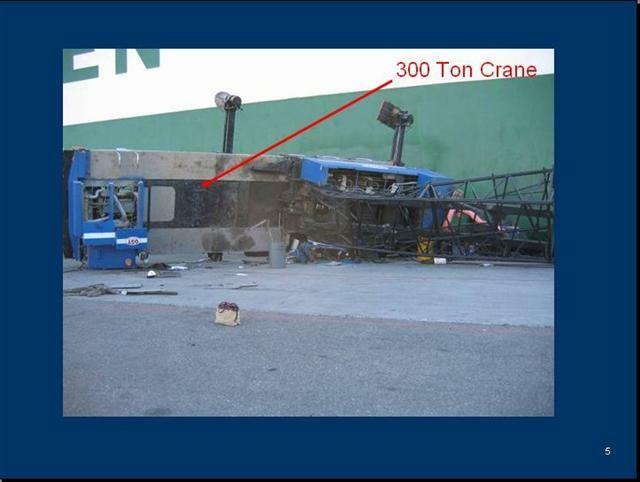 Reflecting on the incident, if the legs had fallen inward of the RTG, instead of out the way they did, the lives of myself, the 2 boilermakers working in the boom lift and rigger overseeing from the ground would surely have been lost. 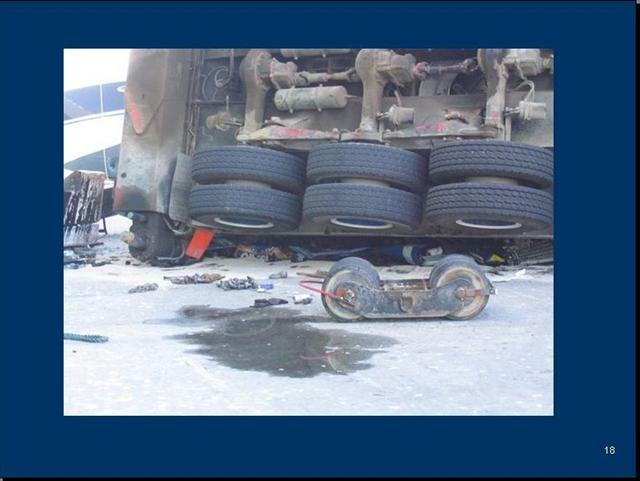 Something that didn't hit home for some days after the incident. 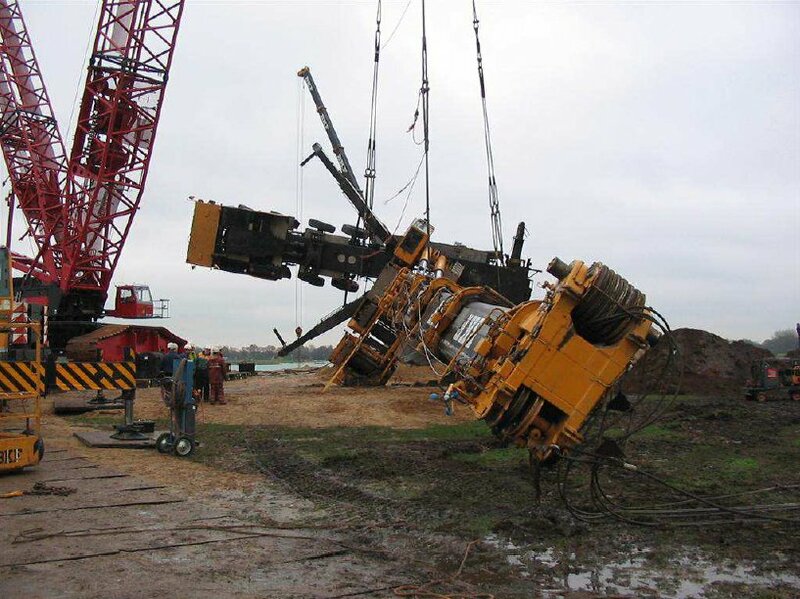 I take my position as crane driver very seriously, this near miss has all but cemented in my head just how dangerous our line of work can be. 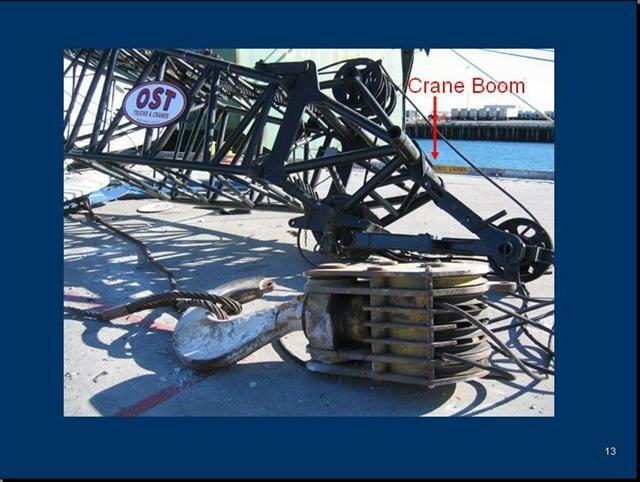 Unfortunately just telling the story doesn't seem to have the same effect on others not associated directly with cranes in some way. 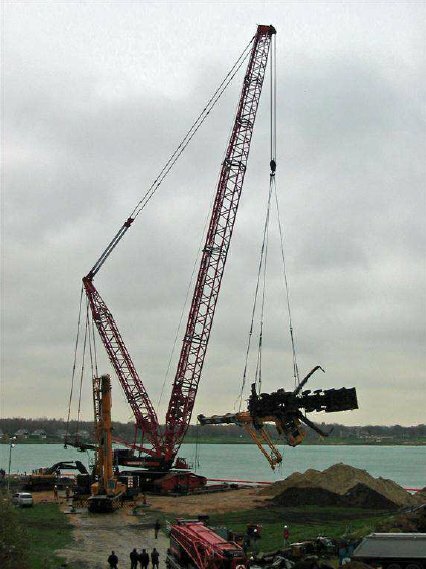 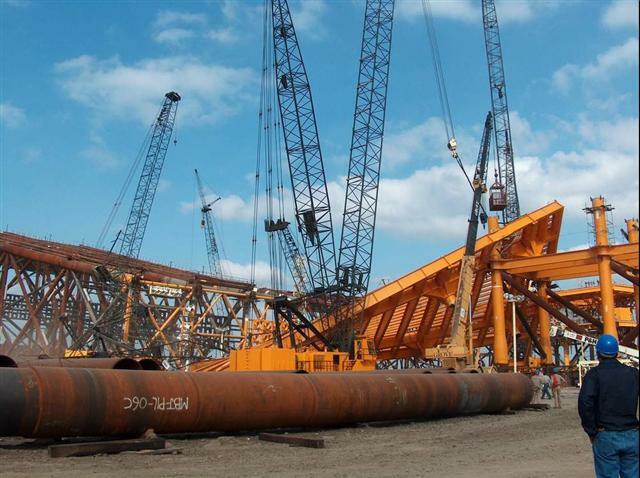 In finishing my story, the job initially involving a lone 50 ton crane over a 2 week period, became a 2 week job utilizing 2 100 ton and 1 80 ton mobiles conducting a 3 crane lift for each disassembly. 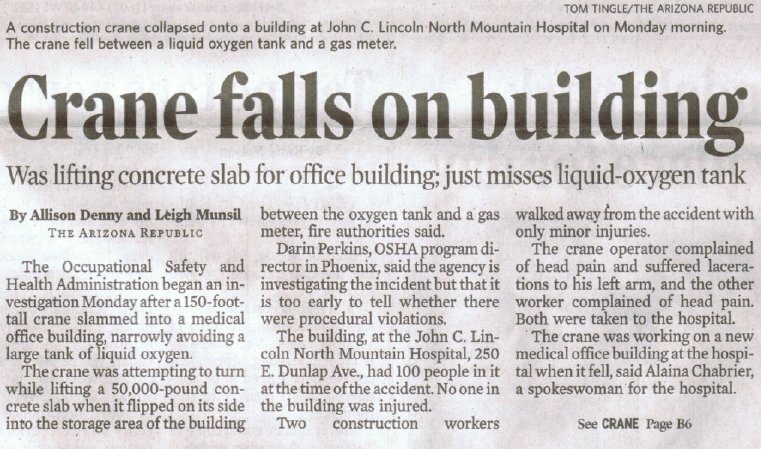 The safest way, and perhaps the only way to do it. 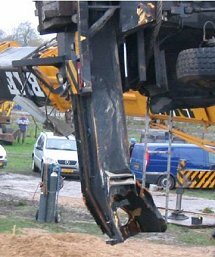 Lucky for the two men in the man basket that they were able to get out as they were falling from 80 feet above the ground! 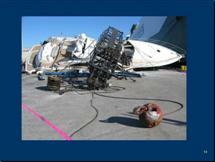 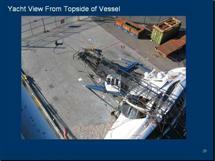 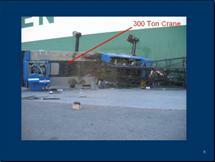 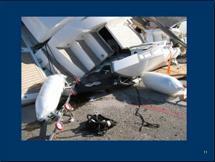 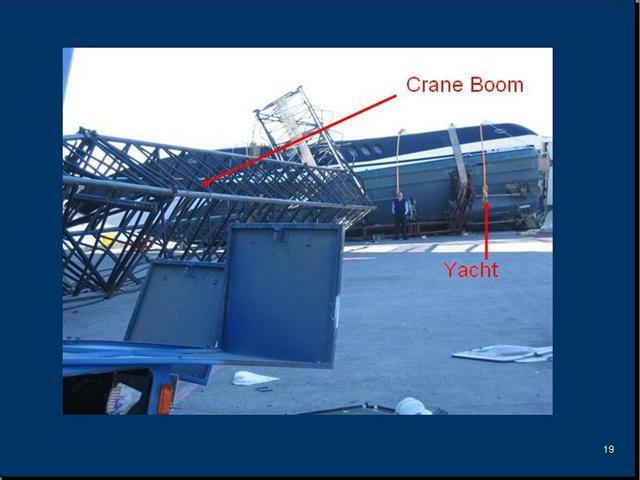 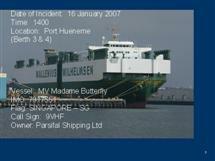 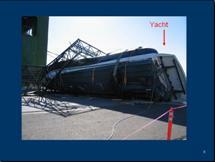 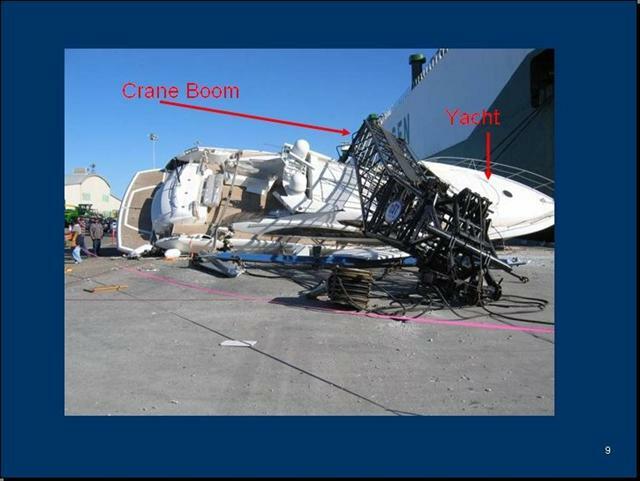 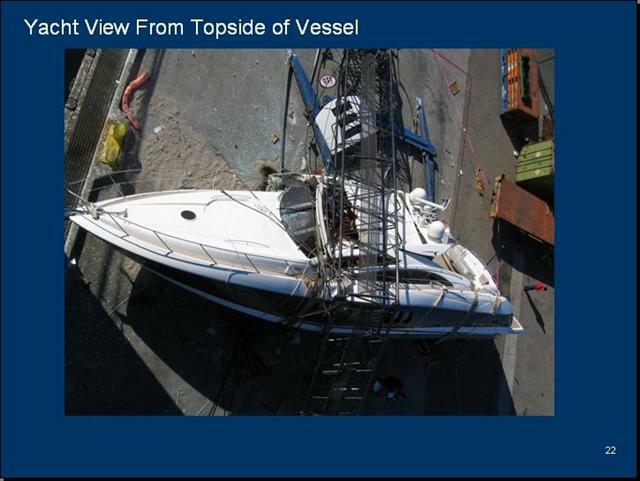 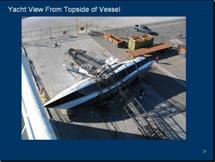 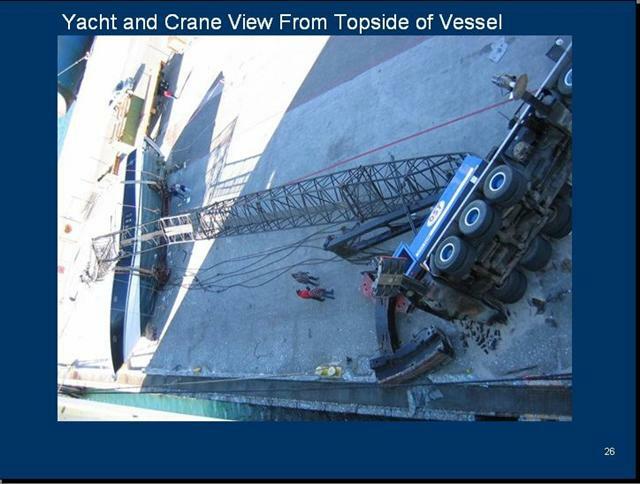 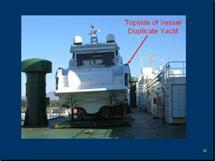 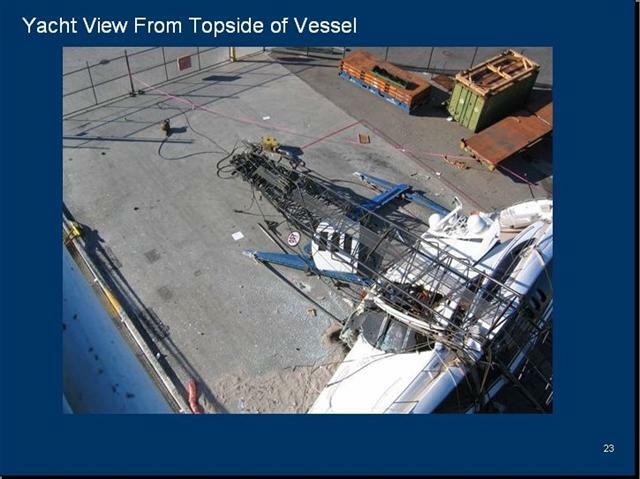 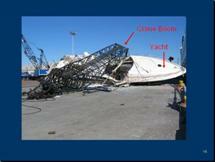 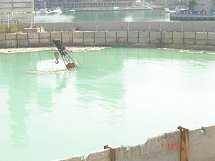 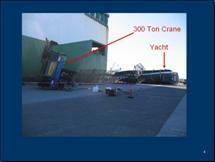 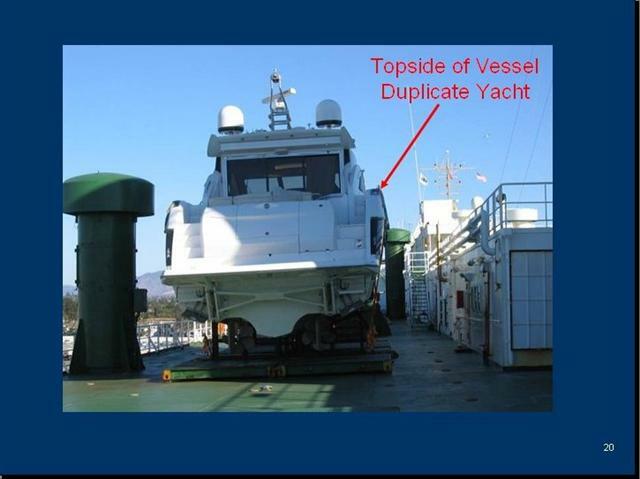 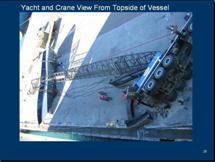 A serious crane and yacht accident. 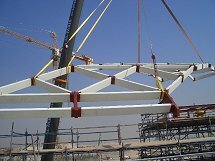 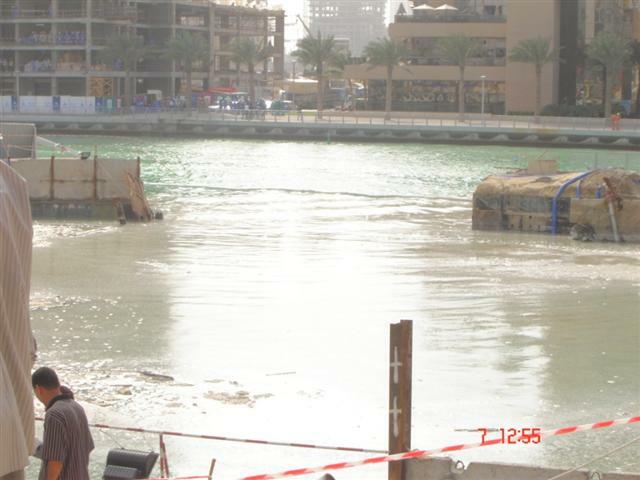 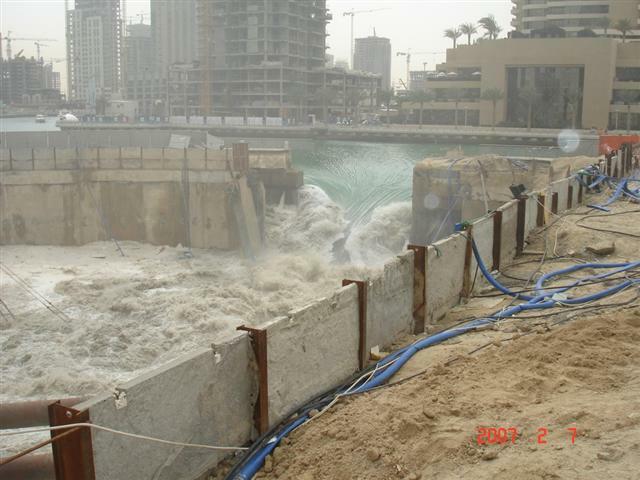 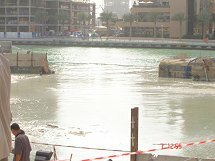 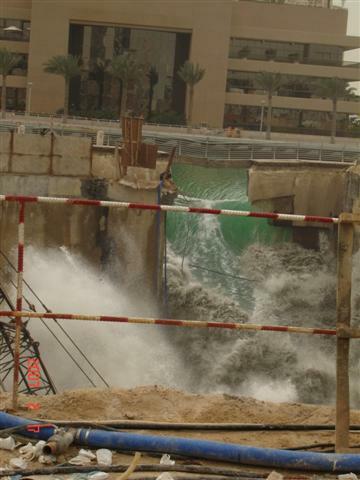 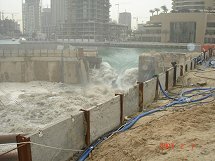 Lift picture which had carried out at DUBAI FESTIVAL CITY, Dubai. 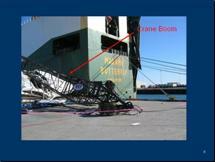 UAE with Tandon lift The rigging had to be perfect to put in place for the fit. The bigg demag AC 1600 was standing near the water lifting a barge (boat for sand sucking) they lift the barge out the water at the moment they had it out the water the operator went back to get diner after few hours he came back crane was full tipped over in the water they say the ground was not strong enough was all sandy and mud The white crane pull over to the site for a passing truck from the adder site with 70 km/h he didn't slow down nothing happened with the driver The yellow crane was the same story again a truck was coming went to much to the right site and roll over into the ditch nothing happened with the driver. Ex-GCR Rail Bridge lifted at Rugby on Xmas day 25 December 2006.